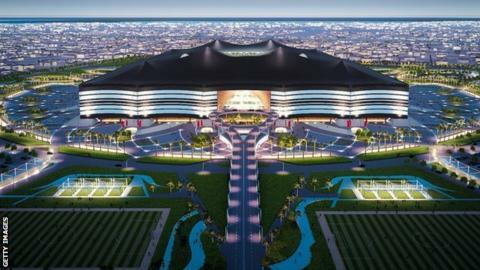 Supporters at the 2022 World Cup in Qatar could be housed in traditional Bedouin-style desert camps. Some of the 500,000 fans expected in the Gulf nation might be accommodated under canvas near stadiums. "At the heart of this World Cup is a commitment to showcase hospitality and friendship of the Middle East," said a spokesman. "As a result, we are actively researching the concept of supporters sleeping under the stars." Bedouin campsites are inspired by the homes of tribes that have historically lived in the Arabian and Syrian deserts. The tournament has already been moved from its traditional June-July slot to December over concerns about high temperatures.